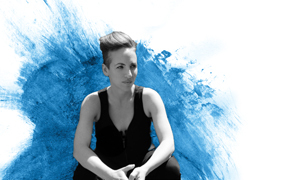 Natalia Zukerman is a renowned singer-songwriter, multi-instrumentalist and member of a famous musical family. This one-woman showcase allows her to flex her audio and visual creative muscles as she showcases her songs and paintings. “The Women Who Rode Away: Songs and Portraits” is a project inspired by women who define and defy boundaries. Join us to see how this dialogue between paint, canvas, and song plays out.